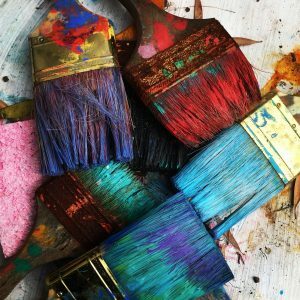 The ALSC Public Awareness Committee is seeking art submissions from members and non-members alike to support the Championing Children’s Services Toolkit. This advocacy toolkit will go live just in time for ALA Annual and will be a resource for children’s librarians, youth staff, and library advocates like board of trustees and friends of the library groups. The goal of the toolkit is to help communicate to elected officials and other library stakeholders about the crucial work being done in library children’s departments that supports kids and family success. A downloadable postcard that libraries can send to stakeholders. A logo to brand the toolkit online. Other promotional pieces at the discretion of ALSC. 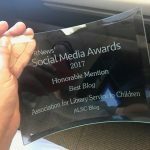 How well it captures the work of the modern children’s librarian and the impact they have within their community. How it demonstrates a call to advocacy for library stakeholders but should not focus on elected officials specifically. The uniqueness of art style used. 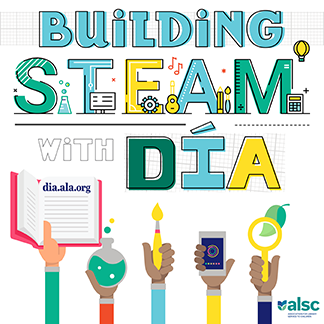 Participation is not limited to ALSC members – anyone may apply! ALSC needs exclusive rights to this work so, artwork must have not been previously published elsewhere in this or any other form. Art reprinted or compiled from other sources are not eligible. Artwork might be used for promotion in perpetuity by ALSC. Artwork must be submitted by Friday, March 22, 2019 at 5pm Eastern/4pm Central. Final artwork may be chosen from submitted samples on or around Monday, April 8, 2019. 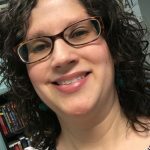 Mary Schreiber co-chairs the ALSC Public Awareness Committee and she is the Youth Collection Development Specialist at Cuyahoga County Public Library, OH. Maybe I missed it in the text, but what does the artist get in return for the use of their artwork? By submitting artwork, the artist will contribute to the library advocacy efforts of ALSC. I am with Kara D…on the above question. I am a former children’s library associate, current artist, and advocate for artists being fairly compensated monetarily for their work. Waiting with fingers crossed to hear that along with the language explaining possible use in perpetuity of said artwork, that the artist is monetarily compensated.